A good toner cartridge has quite a long shelf- life but eventually it does run out or at times, starts malfunctioning. For those who own start ups or have to print out loads of material each day for official or academic work, investing a lump sum of money every time a toner runs out might not be very feasible at all. On the other hand, opting for Toner Cartridge Re- manufacturing service at Burnaby, from Payless Cartridge, might be a much more affordable and simpler option. Remanufactured cartridges, when fixed properly, can save a user a lot of hassle in the long run. Not only do the expenses come down a great deal, but it saves him the relentless worry of looking for new and compatible cartridges all over again. And just because the new ones cost a lot more, most cannot afford to stockpile them as well. Opting for toner cartridges from Payless Cartridge puts a stop to these impediments. We are experts in repairing and refurbishing toners and after our experts are done with them, they are not just as good as new but also perform better than the new ones in most cases. Once a used cartridge comes in, it is completely dismantled and the various parts are carefully listed. The components parts are checked and rechecked and are replaced if they are beyond repair. Traces of residual ink are removed and the interiors are cleaned with special technology. The new toner is then filled with high grade ink and the component parts are slowly reassembled with utmost care. The cartridges are then tested and they only go on sale after they have passed all the levels of quality check. The best thing about Payless Cartridges is that they offer a free pick up of the old and empty cartridges and send quality approved and compatible cartridges as soon as the order is placed. 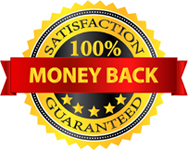 There is also a one year replacement guarantee and even if there is any trouble or glitch during the installation of the cartridges, expert guidance can be availed over the phone by trained professionals. The pricing is affordable and there is no minimum order limit as well. And just in case there is a problem with the cartridge before one year or the cartridge runs dry, the user is promised with a same day replacements.